Google's public relations campaign for Glass sounds passive aggressive, condescending, and insecure. Why is Google already trying to dispel myths about Glass? Ever since Google Glass debuted in 2012, people have had questions. Is it invasive? Are there privacy concerns? Will it make people socially disconnected? Now it seems like people are getting slightly more used to the device—which makes it the perfect time for Google to start acting super weird about the whole thing. 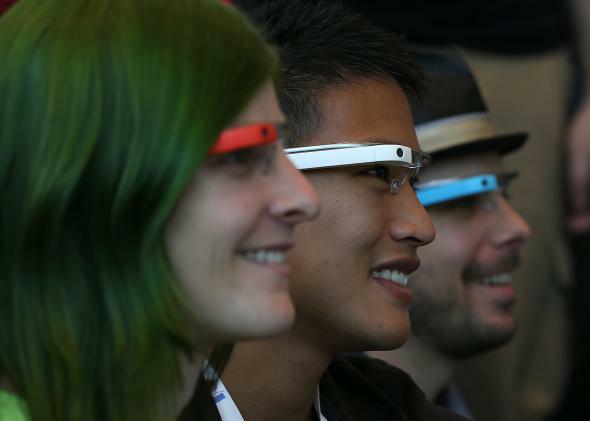 We should have known something was up when Google published a Glass etiquette guide last month. At the time, it seemed funny and even useful. It also allowed Google to acknowledge on its own terms that the company knows what people say about Glass. The word Glasshole came up! A good time was had by all. But now there’s a quasi-follow-up on Glass’s Google Plus page, and it casts the situation in a different light. The post is not only defensive, but downright snippy. No one wants a passive aggressive PR campaign with their $1,500 device. The post opens with some examples of modern myths, in case you don’t know what misinformation is or have forgotten. “Myths can be fun, but they can also be confusing or unsettling.” Unsettling if you’re trying to get a radical technology to catch on so you can sell a lot of units, sure. Google says that some myths have cropped up about Glass: “While we’re flattered by the attention, we thought it might make sense to tackle them, just to clear the air.” Makes you excited to find out everything you’re wrong about, doesn’t it? Most of the myths seem very minor or like things only hard-core naysayers actually think. Like Myth 1: “Glass is the ultimate distraction from the real world.” There are probably people who think this, but between Candy Crush, Flappy Bird, and … what’s that thing? Oh, right, the Internet, distraction doesn’t seem like something unique to Glass. Some myths are just … well, not myths. Take No. 3: “Glass Explorers are technology-worshipping geeks.” Given that Glass is a new tech prototype that costs $1,500, it’s probably true right now that the population of Glass owners is predominantly tech-loving “geeks.” So what? That’s your base, Google! Don’t alienate them. Perhaps the most concerning entry is Myth 8: “Glass is only for those privileged enough to afford it.” In theory, it’s gutsy and honest of Google to address this issue, but raising the point on this list indicates that Google thinks this is a myth, and the answer shows that the company is out of touch on the issue. This answer is incredibly defensive and revealing. It’s true that there are many ways to get Glass, but they all involve $1,500. Whether you bought Glass or crowdfunded it, you are wearing $1,500 on your face, and it’s not unreasonable for people to assume that there’s some monetary privilege involved in that, even if it’s not the whole story. In New York City $1,500 might be one month’s rent—in Indiana it might be five months’. Conflating wealth with entitlement is at the crux of Google’s tone-deaf response. When people are resentful of privilege, it’s because of entrenched socio-economic issues, not because of bad PR (though that can of course make things worse). And it’s often because some rich person is being a jerk. Google provides many free services that are laudable for being available to anyone with an Internet connection, but if the company is worried about being perceived as rich and kind of Glasshole-y, then it’s just waking up to reality.